Omnistab UV 571 a liquid benzotriazole UV absorber. Imparts good light stability to a variety of polymers. Features high compatibility in various substrates, low volatility even at elevated temperatures, and high absorption and protection efficiency. It can be considered for use during polymerization as well as for topical applications on PVC sheets Suitable for thermoplastic PUR, coating and integral foams, rigid and plasticized PVC, PVB, PMMA, PVDC, EVOH, EVA, hot cured unsaturated polyesters and spin finishes for PA, PET, PUR, and PP fibers. Also suitable for styrene homo- and copolymers, elastomers and polyolefins. Dosage ranges between 0.2% and 5.0%. Omnistab UV 3039 is an ethyl-2-cyano-3, 3-diphenyl acrylate grade. Acts as a liquid UV absorber. Belongs to cyanoacrylate class, imparting excellent light stability to a variety of polymers. Suitable for the stabilization of PVC-p and PVC plastisols. It can also be used in PUR, polyesters and PMMA. Dosage ranges between 0.1% and 1.0%, depending on substrate and performance requirements of the final application. Omnistab UV 3030 Is a very low volatile ultraviolet light absorber (UVA) of the cyanoacrylate class, imparting excellent light stability to engineering polymers.Features maximal thermal stability and no inherent color. It can be used to stabilize highly transparent polymers with high extrusion temperatures. Particularly suitable for PET and PC co-extrusion due to its good compatibility with the production process and excellent stabilizing effect. Use levels of Omnistab® UV 3030 ranges between 0.2 and 10%, depending on substrate and performance requirements of the final application. Omnistab NIR is a disperion of nano particles in an organic carrier. The particles absorb solar irradiation in the Near Infrared region. The absorption spectrum can be adjusted to customer requirements. Broad absorption range between 850 – 1250 nm with a maximum absorption wavelength at 1050 nm. It is a liquid which can be used either for production of a masterbatch or for direct introduction in the final product (e.g. PC or PMMA sheets). The producer can use extruders with the possibility of direct dosing the liquid additives into the polymer melt. 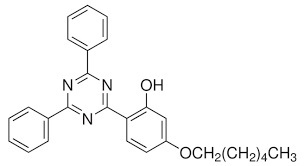 Omnistab UV P is a phenol, 2-(2H-benzotriazol-2-yl)-4-methyl grade. Acts as a UV absorber. It belongs to the hydroxyphenyl benzotriazole class, imparting good light stability to a wide variety of polymers. Features strong absorption of ultraviolet radiation in 300-400 nm region. Exhibits high degree of photostability over long periods of light exposure. Provides ultraviolet protection in a wide variety of polymers including styrene homo- and copolymers, engineering plastics such as polyesters and acrylic resins, polyvinyl chloride, and other halogen containing polymers and copolymers (e. g. vinylidenes), acetals and cellulose esters. Also suitable for polycarbonate blends, polyurethanes, and epoxy materials. Use levels of Omnistab UV P ranges between 0.1-0.5%, depending on substrate and performance requirements of the final application. Omnistab UV 928 is a solid benzotriazole-based UV absorber for coatings, printing and packaging, adhesives and sealants. It was designed to meet high performance and durability requirements of solvent-based automotive, industrial and powder coatings. Omnistab UV 4050 acts as a light stabilizer / UV absorber. It is suitable for the stabilization of polyolefins, particularly in thick-walled PP molding and PP fibers, as well as ABS, PS, PA and polyesters. Omnistab UV 400 is a new generation liquid hydroxyphenyl-triazine (HPT) based UV absorber designed to meet high performance and excellent durability requirements in coatings, adhesives, sealants and printing inks. Omnistab UV 384-2 is a liquid UV absorber of the hydroxyphenylbenzotriazole class developed for coatings. High thermal stability and environmental permanence makes it suitable for coatings exposed to high bake cycles and/or extreme environmental conditions. Omnistab UV 3638 offers very strong and broad UV absorption with no color contribution. Possesses very good stabilization for polyesters and polycarbonates. Provides low volatilty. Imparts high UV screening efficiency. Omnistab UV 360 is a chemically phenol, 2, 2-methylene-bis (6-(2H-benzotriazol-2-yl)-4-(1, 1, 3, 3-tetramethylbutyl)) grade. Acts as an UV absorber. It is a very low volatile product of hydroxyphenyl benzotriazole class, imparting outstanding light stability to a variety of polymers. Particularly suitable for processing and aging conditions where high loads and good compatibility are required. Helps to achieve high UV screen performance and minimizes sublimation through vents as well as prevention of deposits on molds, chill rolls or calibrators. Also suitable for complex moldings, fibers, sheets, twin wall sheets, thin films and laminated or co-extruded semi-finished articles. Compatible with acrylic resins, polyalkylene terephthalates, polycarbonates, modified polyphenylene ether or sulfide compounds, polyamides, polyacetals, styrenics, elastomers and various high performance plastics. Omnistab UV 360 (0.2-10% by weight) can be readily incorporated in the polymer by using conventional techniques such as powder, solution, or melt blending such as extrusion compounding. 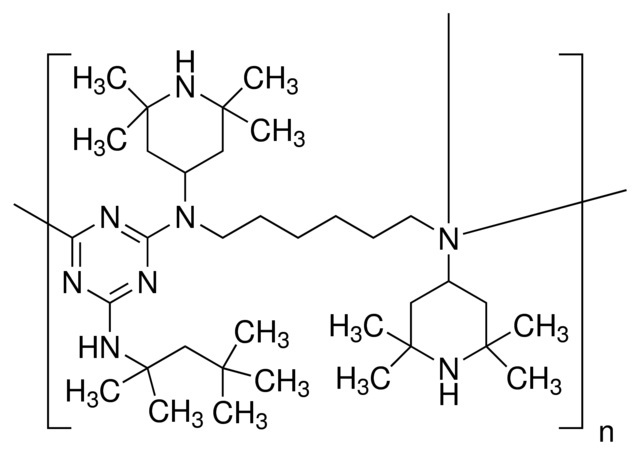 Omnistab UV 329 is chemically 2 Phenol, 2-(2H-benzotriazol-2-yl)-4-(1, 1, 3, 3-tetramethylbutyl) grade. It acts as a UV absorber belonging to hydroxyphenyl benzotriazole class. It is an effective light stabilizer for a variety of plastics and other organic substrates. Protects polymers from UV radiation, helping to preserve the original appearance and physical integrity of molded articles, films, sheets, and fibers during outdoor weathering. Use levels of Omnistab UV 329 ranges between 0.1 and 1.0%, depending on substrate and performance requirements of the final application. Omnistab UV 327 acts as an ultraviolet light absorber. Is a strong absorber of ultraviolet radiation in the 290~400nm region and has a high degree of photostability-photochemical energy absorbed in the ultraviolet region is dissipated as thermal energy. Exhibits good initial color, low volatility, excellent stability to heat as well as light, superior wash fastness, and resistance to gas fading. The low pKa and high hindrance of the phenolic group result in low sensitivity to metal containing ingredients in polymer formulation – catalysts residues, metallic driers, etc. It can be used in combination with phenolic & phosphite antioxidants, and HALS to optimize performance in outdoor use. It is particulary suitable for polypropylene and polyethylene as well as cold cured polyesters, polyurethanes. Omnistab UV 326 is chemically phenol, 2-(5-chloro-2H-benzotriazol-2-yl)-6-(1,1-dimethylethyl)-4-methyl. It acts as a UV absorber belonging to hydroxyphenyl benzotriazole class which imparts good light stability to a variety of polymers. Especially suited for polyolefins. It has a wide range of indirect food approvals in polyolefins. Omnistab UV 326 possesses low volatility and high resistance to thermal degradation making it particularly useful in polyolefin compounding and molding processes. Recommended concentrations are 0.1-0.5% for polypropylene and 0.1-0.4% for polyethylene. Omnistab UV 3035 is a 2-cyano-3,3-diphenyl-2-propenoicaciethylester. Acts as a cyanoacrylate type UV absorber, imparting excellent light stability to a variety of polymers. Offers exceptional light absorbing characteristics and good compatibility in various substrates. 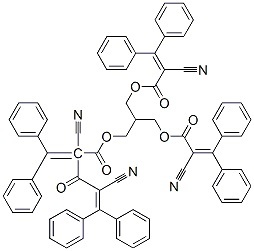 Omnistab UV 234 is chemically phenol, 2-(2H-benzotriazol-2-yl)-4,6-bis(1-methyl-1-phenylethyl) grade. Acts as a UV absorber. It is a high molecular weight product belonging to hydroxyphenyl benzotriazole class. Imparts excellent light stability to a variety of polymers. Features low volatility, exceptional light absorbing characteristics and good compatibility in various substrates. This makes the product particularly suitable for applications characterized by high surface area, such as films and fibers. Suitable for polycarbonates, polyalkylene terephthalates, polyacetals, polyamides, polyphenylene sulfide, polyphenylene oxide, aromatic copolymers, thermoplastic polyurethane and polyurethane fibers, as well as for polyvinylchloride, styrene homo- and copolymers. Applications include molded articles, films, sheets and fibers. Use levels of Omnistab UV 234 ranges between 0.15 and 0.60%, depending on substrate and performance requirements of the final application. Omnistab UV 1577 TF is a toluene free hydroxyphenyl triazine UV absorber. Exhibits very low volatility and good compatibility with a variety of polymers, co-additives and resin compositions. Allows polycarbonates and polyesters to achieve a higher resistance to weathering than conventional benzotriazole UV absorbers. Suitable for polyalkene terephthalates & naphthalates, linear and branched polycarbonates, modified polyphenylene ether compounds, and various high performance plastics. Compatible with blends & alloys, such as PC/ ABS, PC/PBT, PPE/IPS, PPE/PA and copolymers as well as in reinforced, filled and/or flame retarded compounds, which can be transparent, translucent and/or pigmented. Omnistab UV 1577 TF (0.2-6% by weight) can be readily incorporated into the polymer by using conventional techniques such as powder, solution, or melt blending. Omnistab UV 1577 is a hydroxyphenyl triazine grade. Acts as a UV absorber. Exhibits very low volatility and good compatibility with a variety of polymers, co-additives and resin compositions. Allows polycarbonates and polyesters to achieve a higher resistance to weathering than conventional benzotriazole UV absorbers. Suitable for polyalkene terephthalates & naphthalates, linear and branched polycarbonates, modified polyphenylene ether compounds, and various high performance plastics. Compatible with blends & alloys, such as PC/ ABS, PC/PBT, PPE/IPS, PPE/PA and copolymers as well as in reinforced, filled and/or flame retarded compounds, which can be transparent, translucent and/or pigmented. Omnistab UV 1577 (0.2-6% by weight) can be readily incorporated into the polymer by using conventional techniques such as powder, solution, or melt blending. 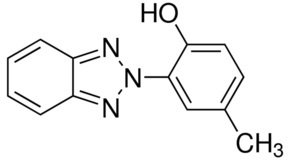 Omnistab UV 1164 is a 2-(4,6-Bis-(2,4-dimethylphenyl)-1,3,5-triazin-2-yl)-5-(octyloxy)-phenol. It acts as an ultraviolet light absorber. It offers low volatility. It exhibits good compatibility with POM, PA, PC, PE, PET, ABS resin and PMMA. Omnistab UV 1164 is particularly suitable for nylon and engineering plastics. Omnistab UV 1130 is a liquid hydrophilic benzotriazole-based UV absorber designed to meet high performance and excellent durability requirements in coatings, printing & packaging and adhesives & sealants. Universally applicable in solvent- and water-based coatings including UV-curable systems. Omnistab UV 1084 NQ is a 2,2′-Thiobis(4-tert-octylphenolato)-n-butylamine-nickel(II). Is a nickel quencher type UV-absorber for polyolefins. Provides high pesticide resistant systems. It creates a synergistic effect when used in combination with a Benzophenone UV-Absorber. Used in polyethylene greenhouse films. Omnistab UV 1 is a liquid formamidine type ultraviolet absorber. Used for microcellular and integral skin foams, traditional rigid, semirigid and flexible foams, fabric coatings for synthetic leather. Imparts very good light stability to a number of polyurethane systems during their use. Omnistab OB KSN acts as an optical brightener for plastics and polyester fibres. Can be used for high temperature process. Omnistab OB CBS 351 is water-soluble and has a good effect on whitening fiber under room temperature. The whitening effects of its high concentration product on cotton fabric is 2.7 times better than toluylene double triazine optical brightener. Omnistab OB 357 is used in water based adhesives. Acts as a fluorescent whitening agent. Offers benefits such as brilliant bluish whitening effects, antistain properties and high water solubility. Omnistab OB 1 acts as an optical brightener or fluorescent whitening agent for polymers. Imparts a very good “whiter than white” appearence and gives more intensity to some colors as well. Offers permanence due to solubility in the fiber during polymer manufacturing, which gives much better brightness retention with topical brightners. Exhibits chemical stability and low volatility. Used in polymers like PP, PS, ABS, EVA,PC and polyester and nylon fibers. Omnistab OB is a 2,5-thiophenediylbis(5-tert-butyl-1,3-benzoxazole). It is a high molecular weight Optical brightener / fluorescent whitening agent of the thiophenediyl benzoxazole class. Omnistab OB features excellent resistance to heat, exceptional whitening properties, good light fastness and low volatility. It has a brilliant bluish cast, is readily soluble in organic solvents and features good compatibility in various substrates. Suitable for the optical brightening of polymers at all stages of processing. It is highly effective in polymer substrates such as engineering plastics such as polyesters, polycarbonate, polyamides and acrylics, thermoplastic polyurethane, polyvinylchloride, styrene homo- and copolymers, polyolefins and other organic substrates. Main applications include synthetic leather, fibers, molded articles, films and sheets as well as packaging applications. The use levels of Omnistab OB range between 0.0005-0.0010% in unpigmented polyolefins and 0.005-0.100% in other plastics. Propylene Glycol Phenyl Ether is a slow evaporating, very hydrophobic glycol ether. More hydrophobic than would be expected based simply on its molecular weight. This product has low odor. With its aromatic structure, the Propylene Glycol Ether is an excellent match for phenolic coatings and linings; it is also an excellent coalescent for acrylic-based latexes. In polymer materials, polyolefins are the most widely used general thermoplastic polymer materials. They play an increasingly important role in our life, as they find usage for toys, electronics, clothing furniture and more. But since polyolefins have a low softening point and low mechanical strength, their application is not as widespread as it could. An effective way to improve the performance of polyolefins are to make them crosslink. There are three methods for polyolefin cross-linking: high-energy radiation cross-linking, chemical cross-linking and UV cross-linking. At present, the first two methods are most used worldwide. Compared with other polyolefin UV cross-linking agents, Omnistab PH2 has better compatibility and can better promote the cross-linking. The polyolefin performance is also much better than in other cross-linking agent results. This product can be used both for 2D and 3D cross-linking and is widely used to improve the performance of polyolefin monolayer and multi-layer film. It also greatly improves the use temperature of polyolefin and the resistance to stress cracking, as it actually improve its physical and chemical properties. Omnistab PH2 is applicable for these products: LDPE, LLDPE, EVA, EMA, HDPE, PP, ethylene and propylene copolymer. Applicable industries includes: film, shrink film, cable, pipe, auto parts and so on. Omnistab LS B 783 is a synergistic mixture of Omnistab LS 944 and Omnistab LS 622. It is a versatile light stabilizer with good extraction resistance, low gas fading and low pigment interaction. It is particularly well suited for LDPE, LLDPE, HDPE films, tapes and thick sections and for PP films. Omnistab LS B 783 is also the product of choice for thick sections where indirect food contact approval is required. Its areas of application include polyolefins (PP, PE), olefin copolymers such as EVA as well as blends of polypropylene with elastomers, and PA. Recommended dosage level is from 0.05-1.4%. Omnistab LS 944 is a high molecular weight oligomeric hindered amine light stabilizer (HALS) and heat stabilizer. Shows excellent compatibility, good resistance to extraction and low volatility. Imparts excellent light stability to thin articles, particularly fibers and films. In thick cross sections it is specifically suitable for polyethylene articles. Omnistab LS 944 is highly effective as a long-term thermal stabilizer in thin and thick articles and shows good extraction resistance. Its areas of application include polyolefins (PP, PE), olefin copolymers such as EVA as well as blends of polypropylene with elastomers. In addition in certain instances Omnistab LS 944 is highly effective in polyacetals, polyamides, polyurethanes, flexible and rigid PVC as well as PVC blends and in certain styrenic elastomer. Its recommended dosage is 0.05-1.4%. Omnistab LS 770 is bis(2,2,6,6,-tetramethyl-4-piperidyl)sebaceate. It is a low molecular weight hindered amine light stabilizer (HALS) for applications demanding particularly high light stability. It provides excellent light stability for thick sections but can also be used for articles with a high surface area such as films and tapes. Omnistab LS 770 is recommended to be used in polypropylene, impact modified PP (TPO), EPDM, polystyrene, impact polystyrene, ABS, SAN, ASA, polyurethanes, and is also effective in polyamides and polyacetals. The recommended concentrations range between 0.1-1.0%, depending on the substrate, processing conditions and application. Omnistab LS 622 is an oligomeric hindered amine light stabilizer (HALS). Furthermore, it is effective as antioxidant and contributes significantly to the long-term heat stability of polyolefins and tackifier resins. Used for all applications calling for low volatility and minimal migration, because of its oligomeric structure with high molecular weight. Its areas of application include polyolefins (PP, PE), olefin copolymers such as EVA as well as blends of polypropylene with elastomers. In addition Omnistab LS 622 is highly effective in polyacetals, polyamides and polyurethane applications. Recommended dosage level is 0.15-1.2%. Omnistab LS 292 is a multi-purpose liquid basic HALS for coatings, printing and packaging, adhesives and sealants. It is designed to meet high performance and durability requirements of solvent- and water-based exterior coatings applications including radiation-curable systems (UV, electron beam). It protects coatings from surface defects such as gloss reduction, cracking, and chalking. It improves retention of mechanical properties. Omnistab LS 123 is a liquid HALS stabilizer based on an aminoether functionality. Its low basicity prevents possible interactions with acidic paint ingredients such as catalysts. Improves the weathering performance. Omnistab LS 119 is a low molecular weight hindered amine light stabilizer that provides excellent light stability for thick sections, but can also be used for articles with a high surface area such as films and tapes. Omnistab LS 119 provides effective ultraviolet light protection for applications demanding particularly high light stability. Significant levels of stabilization are achieved at relatively low concentrations. Omnistab AN 565 is high molecular weight, non-staining, multifunctional phenolic antioxidant primarily used as a post-polymerization process stabilizer for unsaturated elastomers. Omnistab AN 3114 is odorless, tasteless and less toxicity and stable to light, so it can widely used in polymer materials, such as polypropylene, polyethylene, polystyrene, polyamide, polyxymethylene, ABS, synthetic rubber ect.. It’s also an effective antioxidant in oil and paint. Omnistab AN 2246 is a kind of high efficient and non polluting antioxidant which has a wide range of uses, and widely used insynthetic resin, synthetic rubber, natural rubber, it can excellently resist thermal oxygen aging, it can make products do not change color and not chut frost. Omnistab AN 168 is a hydrolytically stable phosphite processing stabilizer. Asa secondary antioxidant, Omnistab AN 168 reacts during processing with hydroperoxides formed by autoxidation of polymers preventing processinduced degradation and extending the performance of primary antioxidants. Omnistab AN 1425 is a high molecular weight, multifunctional phenolic primary antioxidant for processing and long-term thermal stabilization. It contains phosphorus and is highly efficient, non discoloring stabilizer for organic substrates. Offers protection against thermo-oxidative degradation and high resistance to extraction. Also, used as esterification catalyst for the preparation of rosin esters. It is compatible with polyolefins, polyesters, and crosslinked elastomers (e.g. NBR). It is recommended for applications requiring improved extraction resistance, low volatility, excellent color and color stability and superior gas-fading resistance. It can be used alone or in combinations with other Omnistab stabilizers and co-stabilizers. The recommended concentration is 0.05-0.25 %. Omnistab AN 1135 acts as a highly efficient liquid hindered phenolic antioxidant and processing thermal stabilizer. Used for polyols, polyurethanes and various polymers with low volatile and excellent compatibility in additives. Omnistab AN 1098 is a N,N-hexane-1,6-diylbis(3-(3,5-di-tert-butyl-4-hydroxyphenylpropionamide)) and acts as an antioxidant. It provides excellent processing and long term thermal stability. It is compatible with a wide range of polymers. It is an efficient, non-discoloring stabilizer for organic substrates such as plastics, synthetic fibers and elastomers. It is especially suited for the stabilization of polyamide molded parts and films. Its recommended dosage rate in polyamide is 0.05-0.20% and in polyacetals, polyesters, polyurethanes, saturated and unsaturated rubbers is 0.05-0.5%. Omnistab AN 1076 is a sterically hindered phenolic antioxidant, is a highly efficient, non discoloring stabilizer for organic substrates such as plastics, synthetic fibers, elastomers, adhesives, waxes, oils and fats. It protects these substrates against thermooxidative degradation. Omnistab AN 1076 is odorless, stable to light and has excellent color retention. It has good compatibility with most substrates, low volatility and high resistance to extraction. Omnistab AN 1010 is a pentaerythritol tetrakis[3-[3,5-di-tert-butyl-4-hydroxyphenyl]propionate. It is a sterically hindered phenolic primary antioxidant. It is odorless and tasteless. It is highly effective, non-discoloring stabilizer. It has good compatibility, high resistance to extraction and low volatility. Omnistab AN 1010 is compatible with polyolefins, such as polyethylene, polypropylene, polybutene and olefin copolymers such as polyacetals, polyamides and polyurethanes, polyesters, PVC, styrene homo-and copolymers, ABS, synthetic rubber, elastomers such as butyl rubber (IIR), SBS, SEBS, EPM and EPDM. Used in synthetic fibers. Its recommended dosage rate is 0.05-0.1% ppm and 0.05-0.4% for polyolefins. Omnistab AN 1024 acts as a metal deactivator and antioxidant. Exhibits extraction resistance and is effective in polyethylene (PE), polypropylene (PP), crosslinked PE, EPDM, elastomers, nylon, polyurethane (PU), polyacetal and styrenic copolymers. Monoethanolamine (MEA) acts as a vulcanizing agent. It is the simplest of all ethanolamines and results from the reaction of ammonia with ethylene oxide. Exhibits low volatility at room temperature. Suitable for rubbers. MR Revultex is used in a wide variety of dipping applications where medium modulus together with high clarity is required. MR Revultex is particularly suited for all types of gloves and catheter manufacture using the coagulant or straight dipping process. It can also be used for can sealing and toy casting. MR Revultex provides excellent casting characteristics for textiles, metal and other surfaces and has been successfully used as a binder for rubber crumb in sport tracks and playground preparations. The major use for LR Revultex is in the manufacture of toy balloons where the low modulus offers high and easy inflation. It is also used widely as a ‘seed’ latex for post-vulcanisable dipping compounds where the combination of pre and post vulcanisation provides high product performance. LR gives a strong gel when compounded in heat sensitised applications particularly when containing filler. LCS Revertex is a high solid evaporated natural rubber latex concentrate primarily stabilized with potassium hydroxide. Two versions i.e. with or without ammonia are available. Compared with centrifuged latex and other natural rubber concentrates, LCS Revertex has excellent mechanical stability and very high tolerance to loading with fillers. Other features of LCS Revertex are excellent stability to compounding and storage, with good freeze-thaw resistance. Omnistab FR TBEP is a flame retardant plasticizer, mainly used for polyurethane rubber, cellulose, polyvinyl alcohol and other flame retardants and plasticizers, with good low temperature characteristics. LA Revultex is a low ammonia prevulcanised natural rubber latex that has a medium modulus. It has a high purity/low toxicity rating making it an ideal latex for the production of medical goods. LA Revultex is used in a variety of dipping processes where medium modulus is required. Omnistab UV BP12 is a benzophenone grade and acts as a UV absorber. It has good light stability when used in combination with a hindered amine light stabilizer (HALS). It also shows good compatibility with polyolefins and plasticized PVC and protects a number of other polymers against degradation caused by light exposure such as plasticized PVC and rubbers. It can also be used in combination with antioxidants and phosphites as well as a UV barrier to protect the contents of packages for both industrial and consumer applications and for low density and linear low density polyethylene as well as ethylene-vinyl acetate copolymers for agricultural films. Particularly suitable for thick films, typically > 100 micrometer and thick sections. Its low vapor pressure prevents losses during processing. Low migration rates reduce the risk of blooming. Also, in combination with HALS, Omnistab UV BP 12 can be used in high density polyethylene molded articles, e. g. in crates. Recommended dosage is 0.10-0.5% for PE and 0.15-0.5% for LLDPE, LDPE and EVA. In 2007 we decided to start ICG Specialty Chemicals selling specialty chemicals and additives under the tradename Omnistab. Partners in Chemicals expanded its business in Middle East by setting up a branch office in Dubai in 2014. Our Dubai office gives direct access to the Middle East and Africa. Having warehousing facility in the Dubai Free Zone makes it much easier to import, stock and re-export material to different destinations around the globe. To serve the American market we have set up our Chicago branch office in 2009. Deltachem (Qingdao) Co. Ltd. has been established in 2012 but general manager Mr. Mike Zou is already since 2007 a business partner for the Omnistab range. Deltachem is the partner of Choice for Partners in Chemicals. Besides being responsible for sourcing new products, supplychain and quality controle Deltachem is also managing the production facilities and handles the technical support.